PayPoint delivers payments and services by taking the complexity of multi-channel payments and translating it into convenient, simple, value-added solutions. It handles over £14 billion from 760 million transactions annually for more than 6,000 clients and merchants. 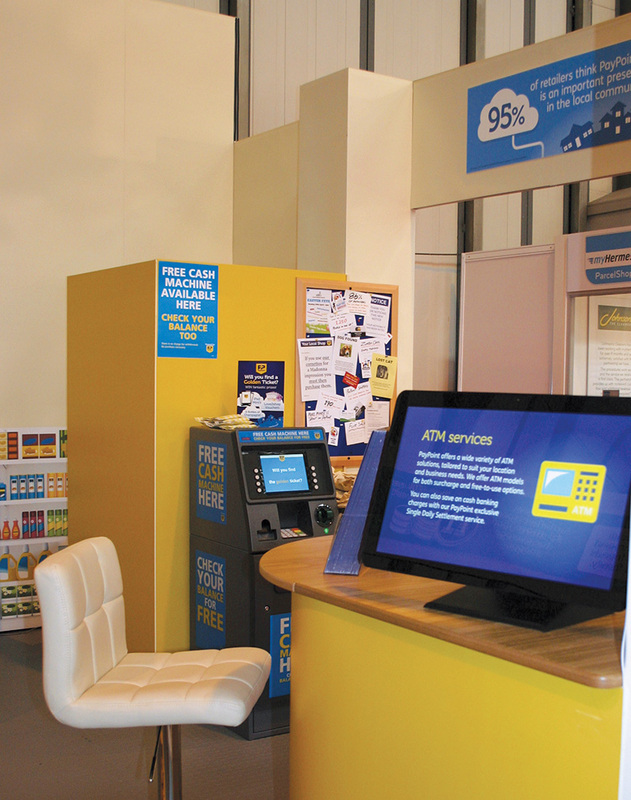 As part of PayPoint’s commercial strategy, it exhibits at carefully selected exhibitions to raise awareness of the brand, the products and services it offers, meet with existing retail partners and gain new ones. 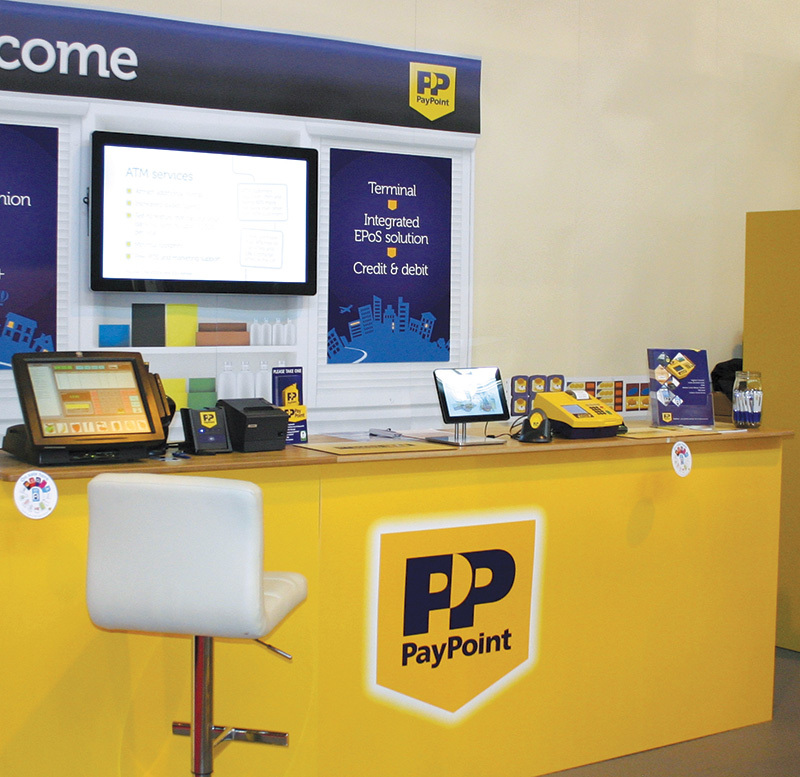 In March 2014, PayPoint wanted to make a big impact at the National Convenience Show by launching its most impressive exhibition stand ever. 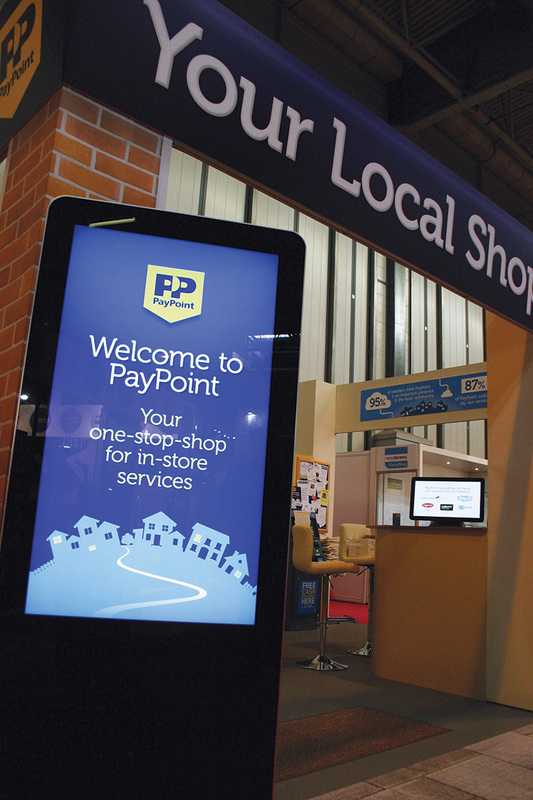 Eclipse Digital Media provided a 40” LED display, 10” Tablet, 21” Tablet and 46” Freestanding totem to deliver PayPoint’s exhibition content. All the displays were connected to cloud based digital signage software, embed signage. 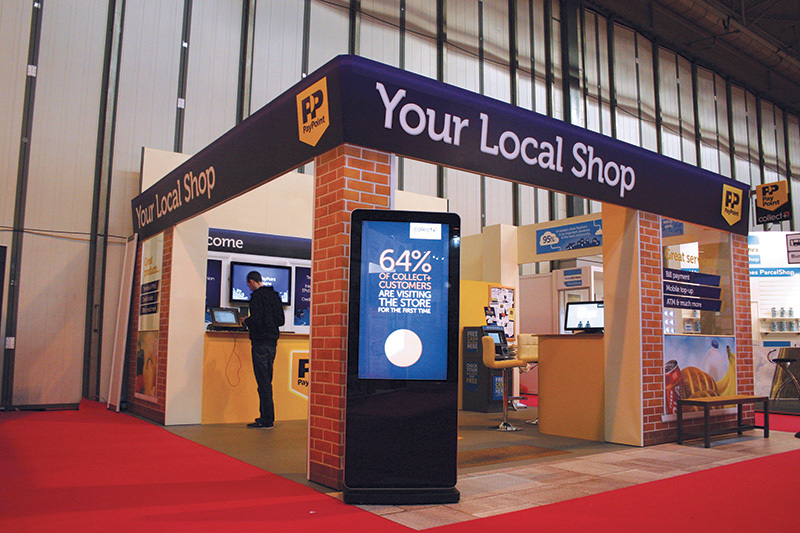 Using embed signage, Eclipse Digital created digital signage layouts cycling through the various marketing material PayPoint required and scheduled the content to run specific items on specific days, depending on the event’s itinerary for that day. There was no access to an internet connection at the exhibition; therefore, all content had to be run offline. To achieve this, the Digital Signage layouts were preconfigured and prescheduled to the displays. Once the content was configured, the devices would seamlessly play back the content and schedules from local storage.